Author Jane M. Hogg writes with a straightforward and precise style perfect for nonfiction. Beware the Mandarins goes beyond the standard memoir, detailing a period of corruption in British government that she experiences firsthand during her years as a research and operations scientist within the United Kingdom’s Home Office. An honors graduate of the London School of Economics, Hogg applies her knowledge and analytical abilities to forge a career in the civil service, gathering and interpreting statistics and devising operational models and recommendations, primarily in the field of fire and police operations. The stumbling blocks she encounters are not with her data but rather with the government administrators themselves and their tendency to alter studies and results to suit their own political agendas. Perhaps the single greatest impediment to finding an American audience for Hogg’s well-written book is that most Americans have little clue how government functions in the UK; many will not understand the internal hierarchy or systems she refers to. The text also contains many acronyms that are likely to be completely foreign to readers in the States, and although the author includes a multipage guide to who’s who and which letters mean what, readers may still find the material overwhelming. Even the title, Beware the Mandarins, may not make sense to those who have not studied history. Those patiently waiting for actual Mandarins to appear within Hogg’s story will be sorely disappointed. In the UK in particular, the term “Mandarins” is a reference to Confucian bureaucracy—an ancient system steeped more in regurgitation of facts than in inquiry and challenge. Higher-level bureaucrats, as the ruling class, are assumed to know best, and those below them in rank are expected to accept and follow their dictates. As Hogg suggests in her story, the higher-level, exceedingly pompous bureaucrats within the Home Office—the very “bosses” for whom she must compile and present her reports— are like those Mandarins of old, hearing only what they want to hear. From 1960, when Hogg begins her career, she finds herself butting heads with those in positions above hers. Skilled and ambitious, she expects to rise through the ranks, but circumstances become harder for her rather than easier. Basing her research on statistics and facts, she prepares detailed reports that either disappear or are shelved when projects are cancelled or reassigned to other offices. Suspecting conspiracy, she encounters and attempts to unveil the very sort of internal subsystem—here called “the Game”—that others, even today, claim operates within the the UK’s Home Office. Eventually, Hogg’s experiences inspire paranoia, and she begins to question every odd occurrence and coincidence, certain that everything is part of some larger conspiracy. Hogg’s story is an intriguing one, and her observations and assertions about the operations of her country’s government border on whistle-blowing. 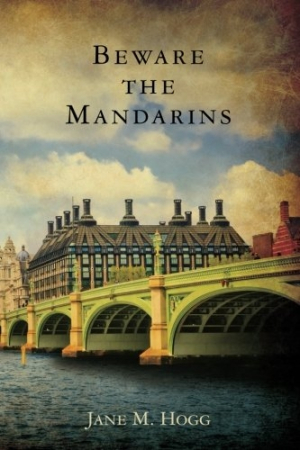 For anyone interested in the goings-on of government, suspected perfidy, and behind-the-scenes agendas, Beware the Mandarins provides a solid, revealing, and satisfying read.